Over thirty years on I decided it was time for a return visit during October 2018. Since my last visit the site has been “tidied up” perhaps not for the better as noted in a book which is available on the history of the mines that comprised Basset Mines. 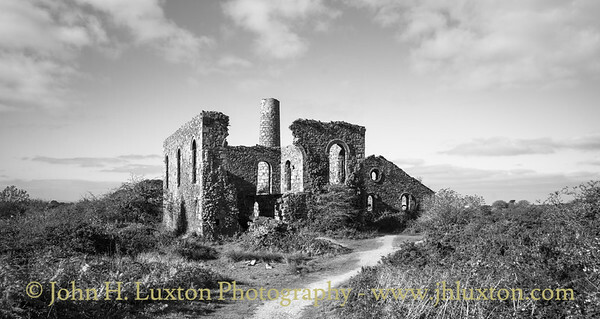 On this visit I also visited the site of Lyles Shaft at North Wheal Basset and West Basset Stamps. I hope when I am next in the area in spring 2019 to cover other sites on the Basset Mines sett. A brief account of the history of the mine is on my original posting mentioned above. 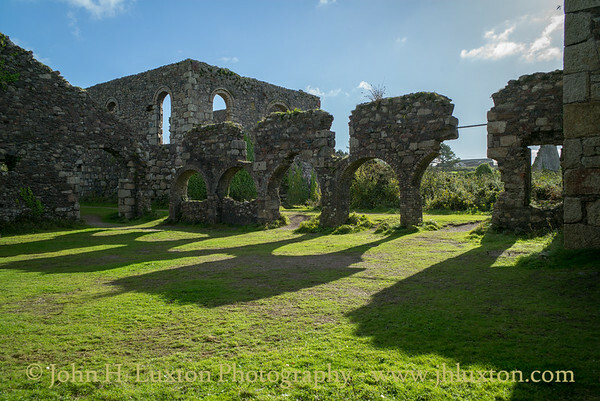 There is further information available on line and an excellent book “Wheal Basset – Five Centuries of Mining at Carnkie” is available. 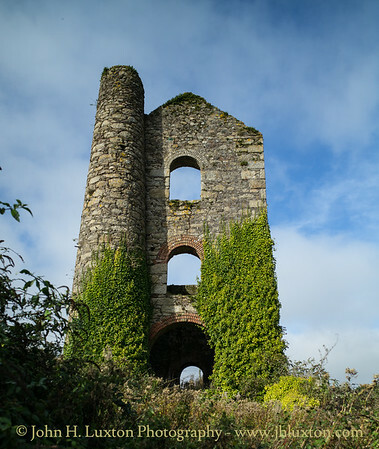 Marriot's Shaft exterior and interior view of the winding (Whim) engine house which once contained a horizontal cross compound winding engine constructed by Holman Brothers of Camborne. The engine could wind at the rate of 2,000 feet per minute.The engine along with the mine was sold off for scrap in 1919 following closure at the end of 1918. 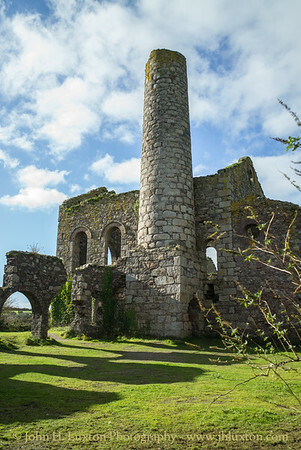 Resemblance to cloisters have led some observers to consider the remains of the Marriott's Shaft buildings to be akin to the remains of a medieval abbey. This is the interior of the boiler house which contained four Lancashire boilers which were later increased to 6. One arch per boiler. Stack and Marriott's Shaft pumping engine house. 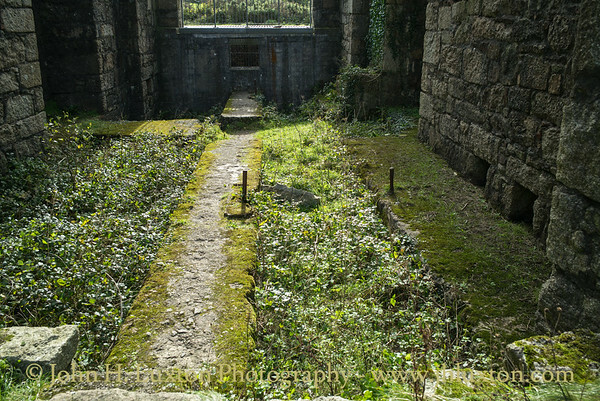 The foreground area is floor of the boiler house. 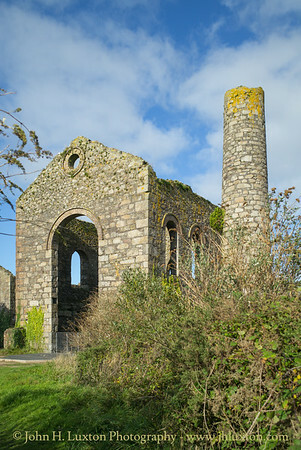 The pumping engine house viewed from the south. This house pumped from the grilled Marriot's Shaft 340 fathoms deep. The engine was a Hathorn Davey engine which was unique in Cornwall. The winding (whim) engine house is nearest the camera. It was placed at 90 degrees to Marriott's Shaft. The winding engine was capable of speeds of up to 2,000 feet per minute. 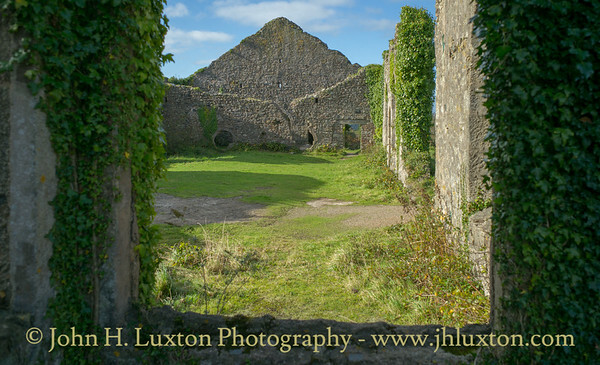 Behind is Marriot's pumping engine house and beyond again the compressor house. View into the miner's dry where they would wash and change. Basset Mines was one of the first mines to provide extensive changing facilities for miners. 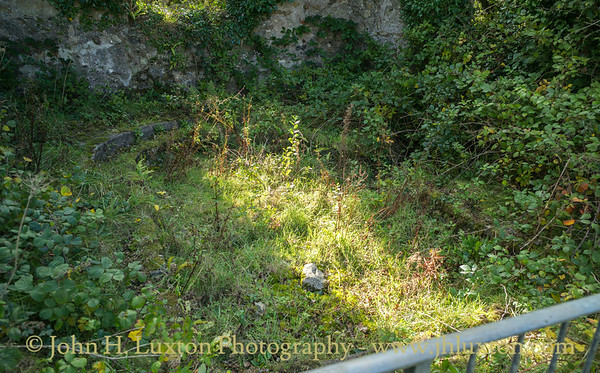 Below are the remains of the miners' bath. Interior of Marriot's Shaft pumping engine house showing the loadings for the inverted beam pumping engine. Enough space had been incorporated into the design to allow the installation of a second engine. This would have enabled the shaft to be extended from 340 to 500 fathoms. However, the slump in tin prices at the end of WWI led to the mine's closure. 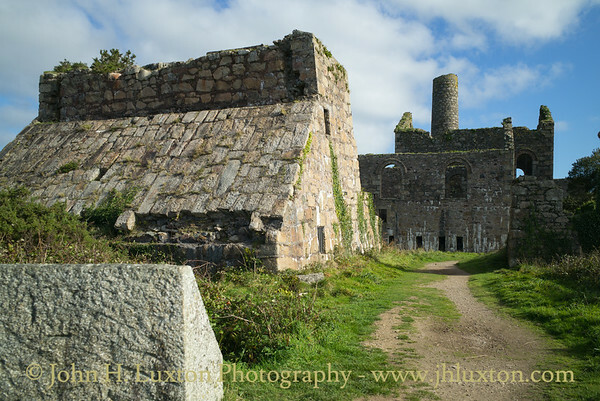 Marriott's section buildings showing the ore bin and crusher base, compressor house and pumping engine house behind. 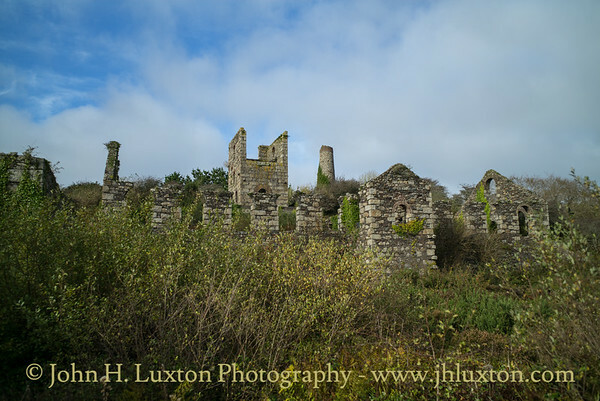 To the right is the capstan engine house. West Basset Stamps engine house and frue vanner building viewed across the buddle floor. The stamps engine powered 80 heads of Cornish Stamps which crushed the ore before it was passed to the vanner house. Lovely site and lovely pics too. It's good to see that 'dangerous' things like the anchor bolts are still in place - health and safety has gone quite mad on sites near me! I'm actually jealous of the remains you have down that part of the UK. Sure in the North East with its coal heritage we have a few mine museum sites but they date to the latter part of coal mining in the UK - it began far earlier than that. (Goes into quick education mode..) We have something called the High Main Seam here. A coal seam which skims the surface in many places and at most will be 80 feet down. 4 1/2 feet of very good easily won coal. 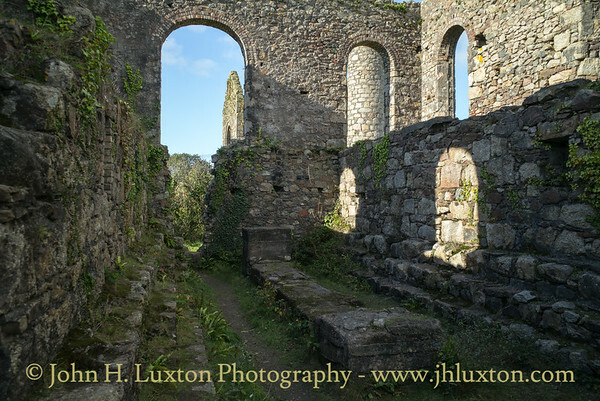 It was soon realised deep mines would be needed and so they built remarkably similar mine structures to the Cornish ones. I'm currently doing a research project (personal one) on the early mines we had around my village. Nothing remains of the early 1700s (slightly) deep mine structures except a few random engine beds and heaps of decent dressed sand stone. Such a shame that not one stands today..